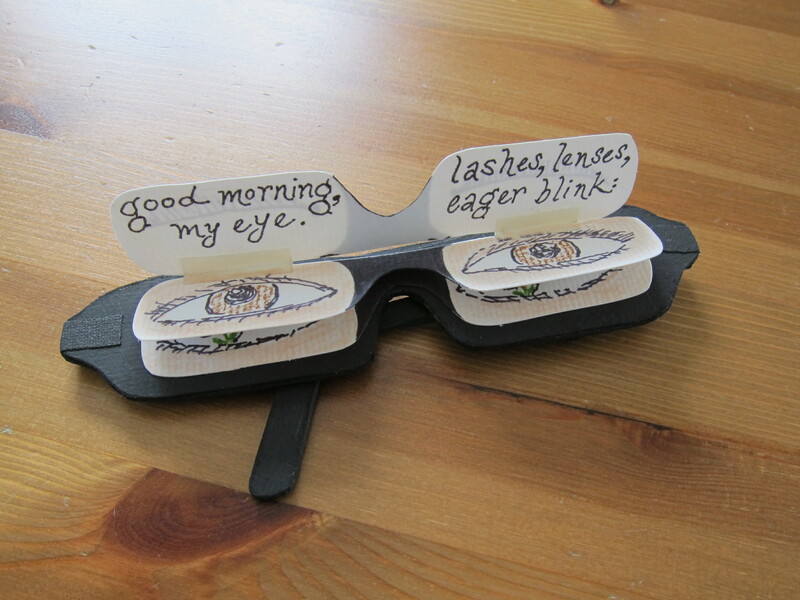 My creepy wearable “Good morning, my eye” book. 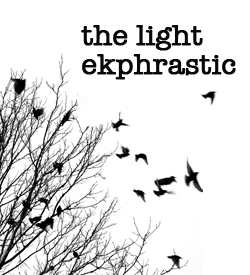 For those familiar with The Light Ekphrastic, you know how much I enjoy the process of reacting to someone else’s painting — or words, or song, or anything — and using that interaction to create something new. Recently, a few of us decided to get together to pick a theme and see where it took us as artists and writers. We’ll do this every few months, so there’s plenty of time in between to stew over an idea, revise, revise, and stew again. 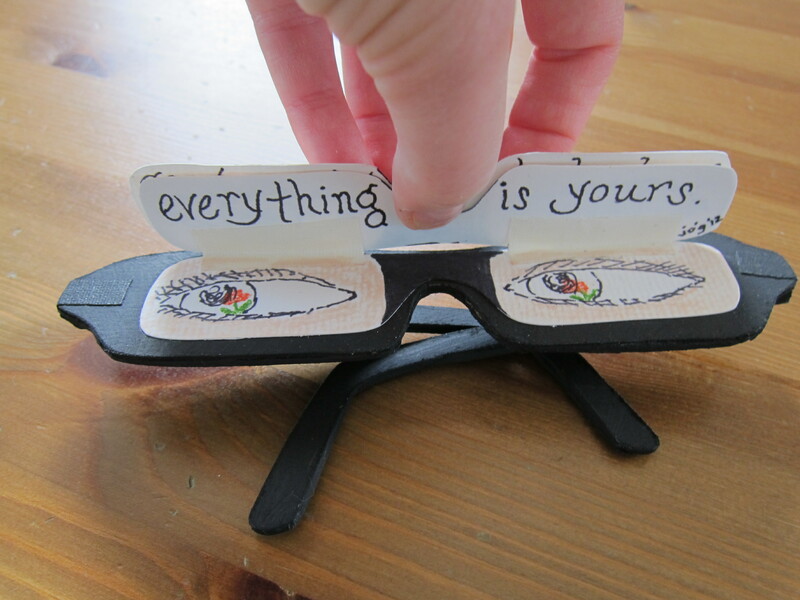 For our first meeting, we created objects and words based on the following phrase: “Good morning, my eye.” It was really interesting to see what people made. One of us wrote a creepy beautiful story. One created a pair of woven hangings evoking the sun. And another molded and painted a scene of her ideal morning table top (and, because she’s the best kind of over-achiever, a second project: a mobile of eyeballs and sunshine. yes!). 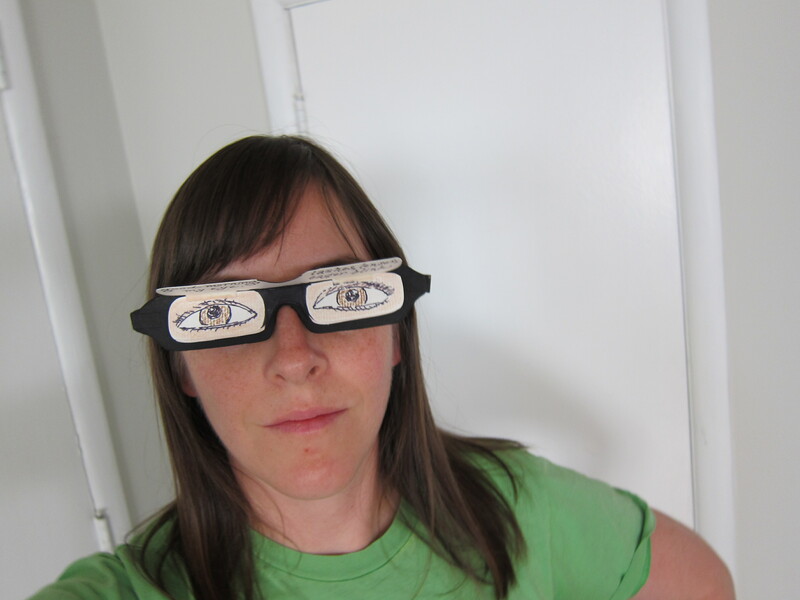 I wanted to start out with eyes closed because it’s as close to my non-bespectacled self as possible. 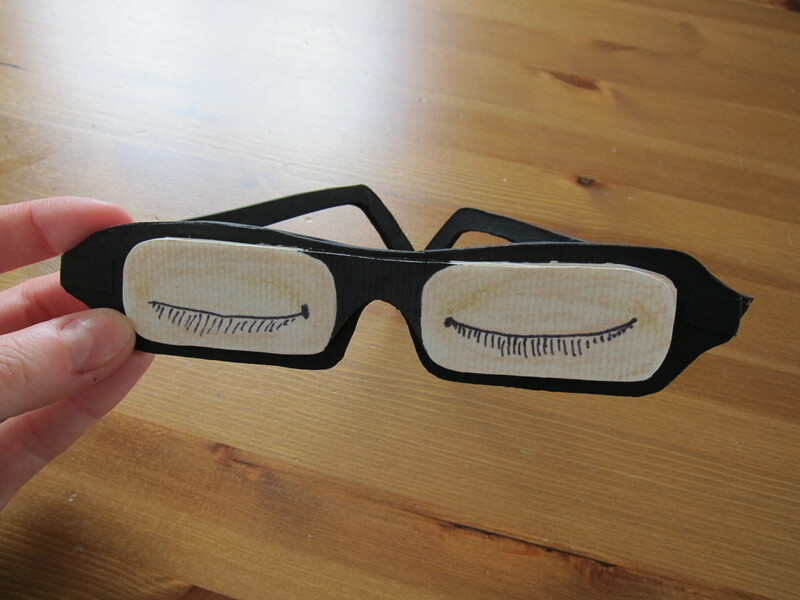 Which might as well be eyes shut, blind as I am.